In the end, it all worked out very well, I must say, despite needing to take some pain reliever part way through the project! She loves it (so do I!) and I’m content that we made something together AND that I will never make another of these foam-type bags! 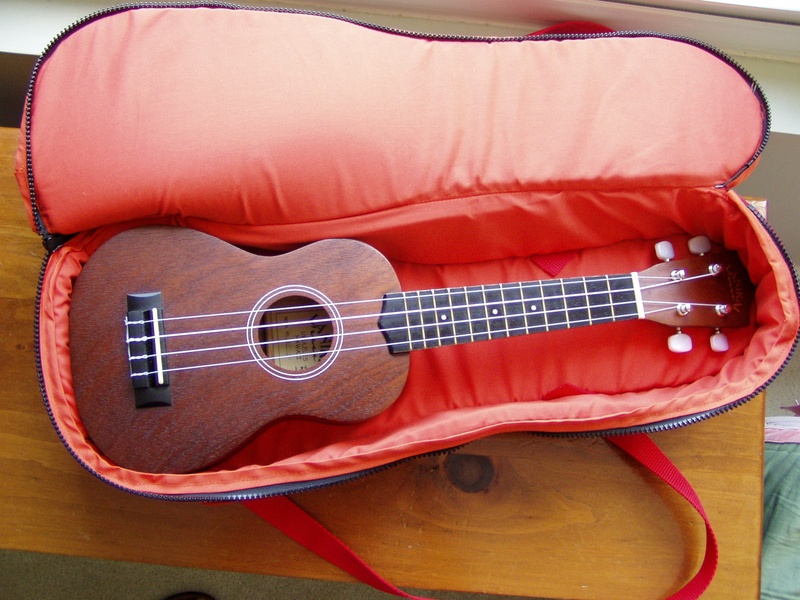 My sweet Maddie, who now has a ukulele of her own, is wanting a uke bag also, but I’ll be making one that does not have foam, just quilted fabric, which will be just fine for her little toy uke. I think my machine will be glad NOT to be making such thunk-a-thunk noises and maybe it will “whir” once again! You’re one of the MOST amazing women I “know”. Excellent! 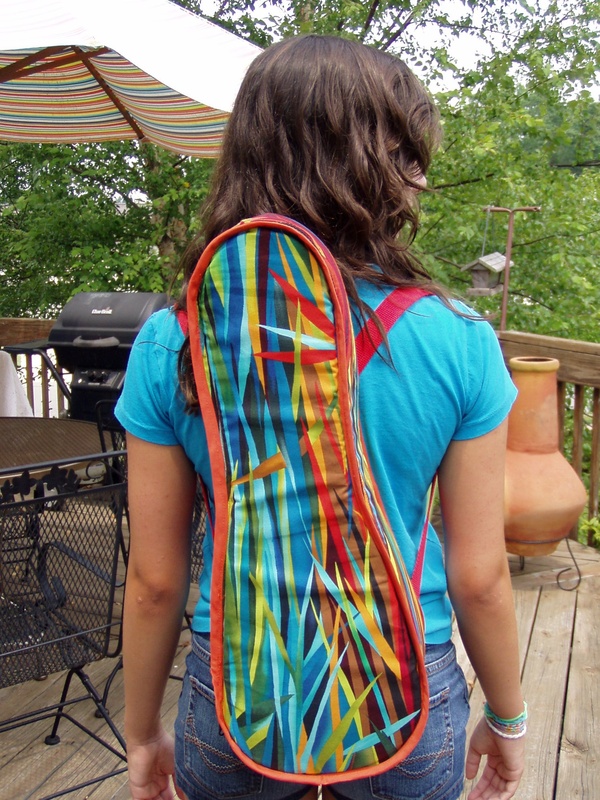 I love this uke bag. It looks so whimsical and beautiful, yet is practical too. Great work! You’ve done it now! You’ll have to get an industrial sewing machine SOON – ’cause there are several wanna-bees in Boone! Get one for Catherine and Maddie and you can set up your own cottage industry! Now I know why no one is answering the phone these days!!!! Your daughter has very good taste! You did a super job. Jennifer: What a super job you did on this bag. I know you said you’ll not be making any more foam bags, but just in case you sew on something thick in the future: Get a heavy duty needle like for sewing denim…you and your machine will appreciate it. Another thing: The printed responses on this blog are so microscopically small that I had to get the magnifying glass to be able to read them…what’s up with that? Hi Joan! Thanks for your comment. In order to read any screen in larger print, just press the “command” button and the “+” button at the same time. Or it also works to use the Zoom in feature on your browser. Hope that helps. It is a wordpress thing…sorry about that!